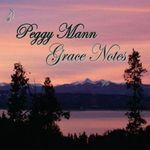 Sign up for Broadjam today to follow Peggy Mann, and be notified when they upload new stuff or update their news! Americana styling that tells it like it is! This incredible CD of inspirational songs is one that you don't want to miss. All original material about lifes ups and downs. Songs that you can relate to no matter your age. Uplifting, joyous, heartfelt and fun. Grace Notes has it all!